Obama's counter-terror top guns are in Europe on a mission that sounds easy enough: to cajole European partners into sharing intelligence. On Wednesday, the administration's team were meeting with European officials: Lisa Monaco, the assistant to President Obama for homeland security and counter-terrorism; Francis Taylor, the undersecretary of the Department of Homeland Security, and John Mulligan, deputy director of the U.S. National Counter-terrorism Center are sitting down with Belgian Prime Minister Charles Michel and his intelligence chiefs to establish a protocol to exchange information. But, there are obstacles: not only bureaucracy, but also privacy and sovereignty. Only about half of the European Union's 28 states currently even compare fingerprints. Three weeks ago, Dimitris Avramopoulos, European Union Commissioner for Migration, Home Affairs and Citizenship, unveiled a plan to share intelligence, but it has hit some roadblocks. At a Europe Day celebration in New York on Tuesday, João Vale de Almeida, the EU ambassador to the United Nations, who was the former director general at the European Commission, told CBS News: "Intelligence is jealously protected by most countries and that is not different for the EU." "There will have to be an incremental approach and little by little the member states will share sensitive intelligence - because they have to," Vale de Almeida said. "There can be no other way." "We are where the U.S. was 10 years ago," Avramopoulos told CBS News in an extensive interview by phone from Brussels, where he said that 82 percent of European citizens want more intervention on terrorism. Kristalina Georgieva, vice president of the EU Commission, acknowledged Europe was going through "tough times." "We, like many in the world, have been hit by multiple shocks: we have experience a financial crisis ... our young currency, the euro, has been shaken up. Then we had 1.8 million people within months crossing into Europe fleeing war and destitution. ... We also experienced terrorist attacks." On Wednesday, at an EU debate for law enforcement cooperation in Strasbourg, France, Avramopoulos referred to information-sharing as "our Achilles heel," while he outlined a plan for Europol, Europe's Netherlands-based law enforcement agency, to be the hub for intelligence-sharing. It should seem simple, right? After the recent terror attacks in Paris and Brussels, along with the sophisticated terror networks those attacks revealed, one would think that the 28 member states of the European Union would want to have a lock on all the potential terrorists crossing their borders freely. Although many European nations have good intelligence-gathering, there is a culture of national sovereignty - and a history of spy verses spy during the world wars - that analysts say slows the instinct to share. Questions over data protection and how the new intelligence sharing will be administered by Europol is the main concern after the new proposal for a security union was approved by the EU in late April by European Commission President Jean-Claude Juncker and a new data protection reform package was adopted. U.S. officials have supported the new Europe-wide counter-terror strategy and the stated objective of the U.S. delegation in their meetings is to explain how the U.S. overhauled and rebuilt its intelligence-gathering after the 9/11 attacks. "What we have learned in the hard work that we did and continue to do after 9/11 is the importance of sharing information, both across our services as well as rapidly with our international partners," Monaco said. Monaco's message has been repeated for months: specifically, how the current threat posed by ISIS differs from past terror concerns. At the Council on Foreign Relations in March, she called it opportunistic, "do-it-yourself" terrorism. "What distinguishes the threat today is that it is broader, more diffuse--and less predictable--than at any time since 9/11. ... Terrorism today is increasingly defined by small cells or lone actors, sometimes with little or no direct contact with terrorist organizations, who have succumbed to violent extremism." It is because of those lone radicalized actors that European nations are fearful of infiltration by ISIS and al Qaeda elements among recent refugees, a point underscored by ISIS' stated goal to do just that. The message to Europe is that they must find a way to share: "After 9/11, we implemented a series of legal, structural, and cultural reforms to break down the barriers that had grown up between law enforcement, the intelligence community, the military and the functions--not named at the time--that we now call Homeland Security," Monaco said. Avramopoulos told CBS News, "We need a culture shift to make sure the dots are better connected and that our counter-terror work is not done in national silos." First: "At European level, we need to urgently address the remaining gaps, fragmentation and operational limitations of the information exchange tools in place." Second: "To make sure that European legislation to tackle terrorist criminals and their activities is up to date and robust." EU nations' law enforcement authorities must "acquire the habit of systematic cooperation and information-sharing, right down to the last policeman ... to overcome the fragmentation which terrorists and criminals are so effective at exploiting." The fear of terrorist infiltration abounds. Frontex, the EU border agency, has been clear in recent months that the open borders within Europe are vulnerable to terrorist infiltration. Part of the problem with the new security union, EU officials say, is getting the disparate intelligence systems unified, which could take time - time that is not available when millions of new refugees and migrants are arriving. 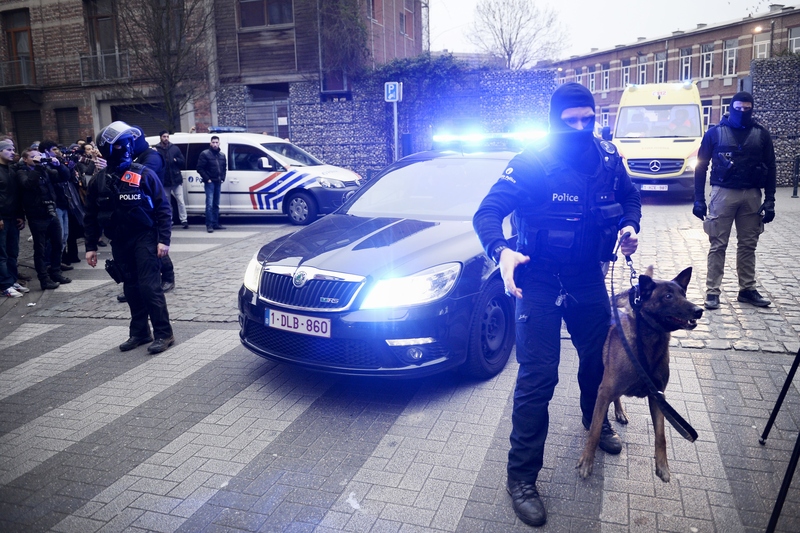 EU counter-terror officials have made clear that they need help to get a security union up and running and they also need to resolve the problem posed by encryption, something about which the U.S. has more expertise. "This is not one country," Avramopoulos said, "it is 28, but what I can tell you, is that the status quo is not an option."